James “Jim Bob” Moffett is riding into the sunset. Freeport-McMoRan’s longtime head honcho is resigning as executive chairman of the $9 bln copper, gold and petroleum company amid pressure from activist investor Carl Icahn. It’s a needed step to restore confidence after faux pas including an ill-timed, cozy-looking 2012 oil deal. Moffett’s replacement, though, faces serious challenges. The outgoing chairman casts a long shadow. Moffett co-founded McMoRan Oil & Gas in 1969 before merging it with Freeport Minerals in 1981 and eventually turning it into one of the world’s leading copper and gold producers. The sudden end to his long reign, coupled with another swing lower in commodity prices, may explain the more than 8 percent drop in Freeport’s share price on Monday. That, though, looks like an overreaction. Freeport’s shares have plunged around 80 percent since it struck a pair of questionable oil deals in late 2012. The acquisitions of Plains Exploration & Production and McMoRan Exploration for a combined $20 billion including debt were not only poorly timed, given the subsequent collapse in crude prices. They also raised serious governance questions: Moffett ran and partly owned McMoRan, while Plains boss James Flores sat on McMoRan’s board at the time. 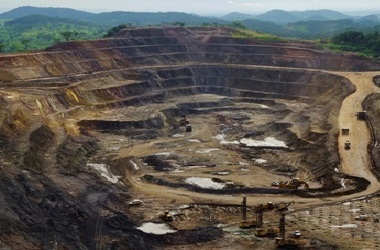 In January, Freeport agreed to pay $138 million to settle a lawsuit brought by investors alleging conflicts of interest. It took the arrival of Icahn to usher in more serious change. He has already had success in the sector: in 2012 he started agitating for management change at Chesapeake Energy, another troubled resources company. Its larger-than-life founder Aubrey McClendon was gone within a year. The activist investor revealed his Freeport stake in August this year. By October, the company announced it was dismantling its three-member Office of the Chairman – comprising Moffett, Flores and Chief Executive Richard Adkerson – and considering strategic alternatives for its oil and gas business. Monday’s shakeup is another welcome sign of a newly assertive board. New Non-executive Chairman Gerald Ford, previously the lead independent director, has his work cut out to get the company in shape for lower commodity prices. And he’s not completely free of Moffett, who will be chairman emeritus and stay on as a consultant to the board for a time, potentially complicating efforts at a truly clean break. Overall, though, the changes are positive for Freeport shareholders. Freeport McMoRan co-founder James “Jim Bob” Moffett is stepping down from the copper, gold and oil company’s board and resigning as executive chairman, the company said on Dec. 28. Gerald Ford, Freeport’s lead independent director since 2013, will assume the role of non-executive chairman. Freeport’s shares fell 8 percent after the news broke. The moves come two months after Freeport said it was considering strategic alternatives for its oil and gas business. The company’s shares have dropped more than 80 percent since mid-2014 amid low commodity prices. Freeport also in October reduced the size of its board and said it would abandon its “Office of the Chairman” management structure comprising Moffett, Chief Executive Richard Adkerson and James Flores, the head of Freeport’s petroleum unit. In August, Freeport cut its capital-spending budget and announced it would trim 10 percent of its U.S. staff as billionaire investor Carl Icahn revealed an 8.5 percent stake in the company and criticized its spending, capital structure and executive compensation. Moffett founded McMoRan Oil & Gas in 1969 and led its merger with Freeport Minerals in 1981.